TNPSC - Tamil Nadu Public Service Commission has successfully conducted the VAO 2014 Exam on 14th June 2014 under the new VAO Syllabus 2014. We have also provided some Study Materials regarding the VAO Basics of Village Administration in our blog. This time the total number of Vacancies in VAO Post is 2342. You can also check here the Districtwise vacancy for TNPSC Vao Post 2014. The Expected Cut off Marks for the TNPSC VAO 2014 is updated in this post, please scroll down the post to check the categorywise expected cut off marks. TNPSC VAO 2014 3rd Phase Counselling to start from 1st February 2016. TNPSC VAO 2014 2nd Phase Counselling to start from 2nd September 2015. Latest: TNPSC VAO 2014 Result When will be Published? TNPSC VAO published Today 15th December 2014. TNPSC VAO Result Links updated Below. After the publication of the results please follow these simple instructions to check your TNPSC VAO exam result 2014. Your TNPSC VAO 2014 Marks will be displayed. TNPSC VAO 2014 After Result Poll to Predict More Accurate Cut off Marks. Poll Result Here. TNPSC VAO 2014 After Result Expected Cut Off Marks First Phase Counselling. The total number of Vacancy in VAO is 2342. On an average 1000-1500 candidates may clear both VAO and Group 2a Posts. So, we can consider that for VAO Posts Approximately 3500 - 4000 candidate might be called for the First phase Counselling or in further phases. we can confirm this only after the publication of Counselling Schedule. In the above TNPSC VAO 2014 Expected Cut off mark table we have considered 2500 candidates might be called for the counselling. 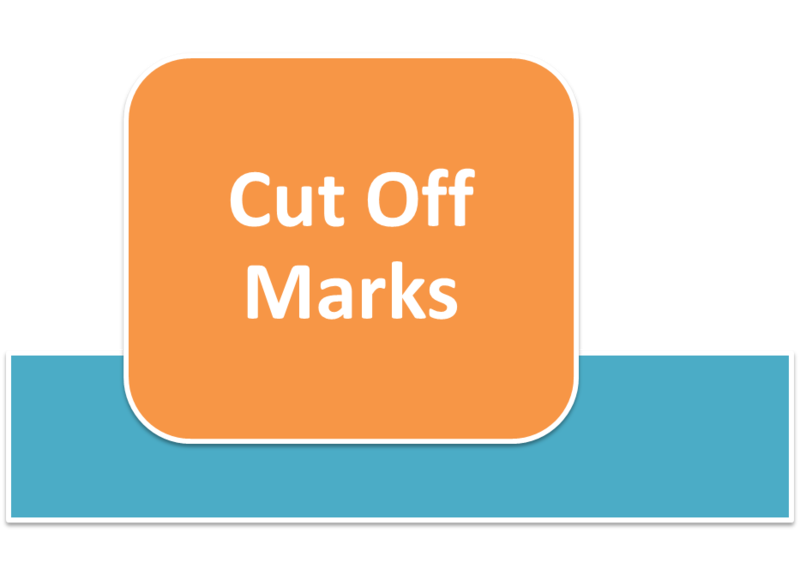 Predicting the Cut off Marks before the exam is difficult and usually it goes wrong. Even the predicted cut off marks given below may also go wrong so don't take these cut off marks for VAO 2014 Exam serious. Just Give your best performance in your exam without worrying about the cut off marks. Before predicting the cut off marks the following things were kept in mind. Syllabus changed - New Sections Added. Previous year VAO 2012-2013 Cut off marks. How Many Questions You Got Correct in TNPSC VAO 2014? Please Select the option and Click on Submit. Dear Candidates we have published the sample survey result Below. To get more approximate VAO 2014 Cut Off marks come back after the exam and correct your answers with the help of VAO 2014 Exam Official Answer key (Official Answer Key for VAO 2014 Link updated Check soon). Just vote on this VAO 2014 Cut Off marks poll below. Select the Number of Questions you got Correct in the TNPSC VAO 2014 Exam. Dear friends, the below chart is drawn with the values from the sample survey of the First 1600 Voters in the VAO 2014 Cut Off Marks Poll which is available right above. 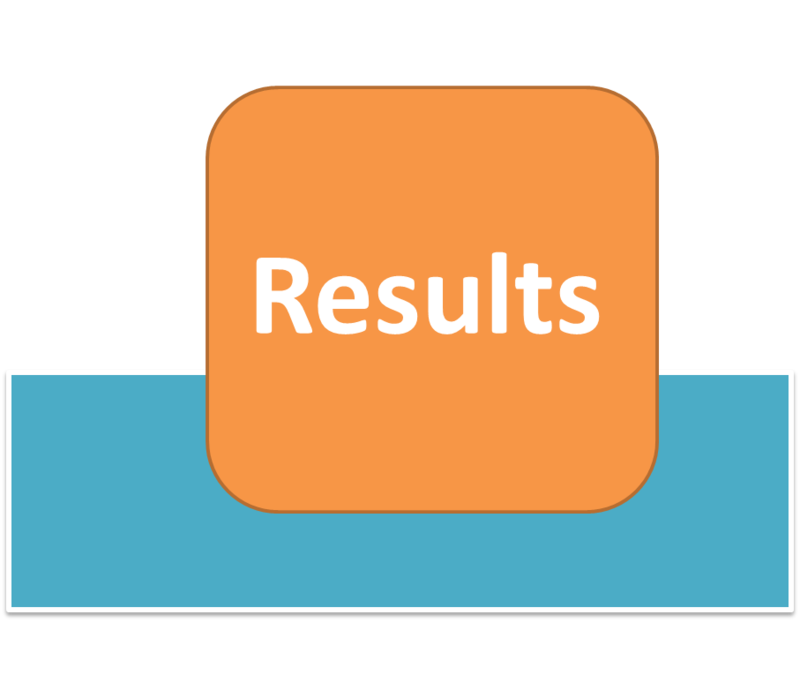 Very soon after the VAO 2014 Result the final approximate cut off marks for First Phase counselling will be added. The above expected cut off mark may decrease in the further phases of the TNPSC VAO counselling. Check now TNPSC VAO 2014 Exam Answer Key for General Tamil, General English and General Studies and VAO Here. Check now how many vacancy is there in your district for VAO Postings. You can check for all districts here at VAO 2014 Districtwise Vacancy. Dear Candidate, TNPSC VAO Certificate Verification and Counselling Starts from January 27th, 2015 onwards. Very soon the counselling schedule will be published by TNPSC. Check here when TNPSC VAO 2014 Exam Result and Counselling Schedule will be expected to be published by TNPSC for the VAO Exam held on 14th June 2014. The TNPSC Vao 2014 Cut off Will be lower than the TNPSC Group 2a cut off Marks. Many of our friends might have cracked both GRoup 2a and VAO results. As a result the cut off will reduce further in the upcoming counsellings. We request you to kindly Post your cut off mark, overall rank and community for both VAO and Group 2a in the comment section. 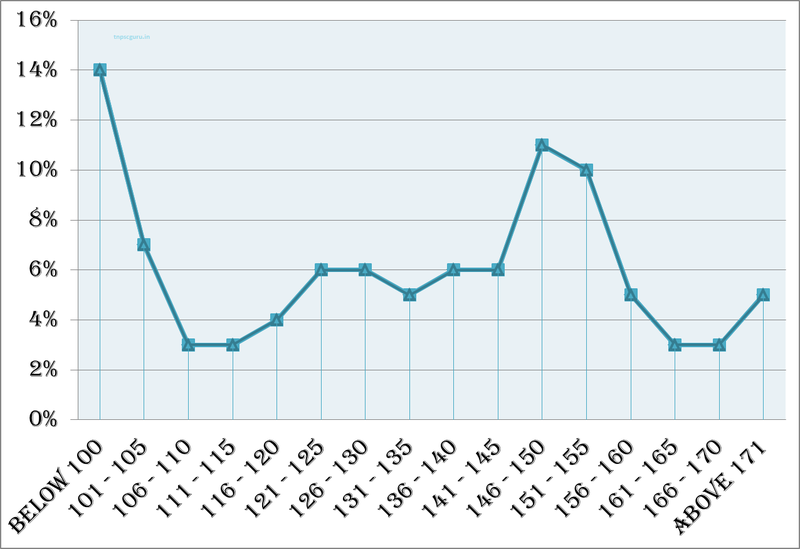 What could be the minimum cut off for VAO Selection this 2014 for MBC candidates? Minimum cut off marks for vao 2014 Sc tamil Medium? For mbc what is the vao 2014 cut off marks? How you did your VAO Exam Today???? how much mark to get pass for vao exam?. What is the cut off for BC Female? What is the vao highest cut off marks in tamilnadu any one got above 165 marks???? what is the cutt of mark for bc female and i corrected 142 questions? Hi myself BC category got 137 Questions correct any chance for VAO Selection??? hi anyone got above 150 questions correct??? 162 BC Male, Hw abt the chances? I am a SC candidate and i got 156 questions correct.is there any chance for me?I don't know anything about tnpsc cut off calculation.Better anyone give an idea..
you have a great chance for VAO posting... dont worry..
i am senthil .i got 148 questions correct.i am bc canditate. any chance for me? anish help me. you also have a chance... Try to crack group 2 also..
if you have time please split your marks below 148 = GK ?+ GT? + VAO? next group 4 eppothu varum?sir.i am diploma canditate. i can't write group 2. group 4 kku preparation start pannalama? if you want to get posting through competitive exams, you should not stop preparation until you get your roll number in the result... Next group 4 notification expected in the month of July..
Is there sure chance for 160/200qns (As per TNPSC Official Key) in this VAO exam, for my category BC male, PSTM (10th Std) , PG Degree. Pls comment. i am bc female and i correct 142 questions,PSTM(10),PG DEGREE.is there any chance for getting vao job. my vao marks 136/200 i am bc handicapped tamil medium velai kidaikkuma??????? what will be the cut off for BC female ? Hi i am male, MBC category got 150 Questions correct any chance for VAO Selection? You are giving some courage to aspirants...Are you working in any government dept? I am senthil.my brother called for group 4 councelling 1st phase.unfortunately he didnot get the job.vacancies filled upto overall rank 3000.future la velai kidaikkuma? what is his rank can you provide his rol no and dob to check once? overallrank 4509.communal rank 2449. He is bc canditate.He called for junior assistant. he will get in future.. but takes time.... for eg the previous vao counselling(2012) is not yet over..
have some chances..but not sure..
tamil ilakkiyam part kku enna book refer seyyalam? thanks for your valuable information.thank you very much sir. tnpsc group 4 councelling not finish.this year group 4 delay aguma? hi i m bcm male i got 140 /200 i m 12 th std age 1980 is there any chance to get vao post.tell me. hello sir i am mbc 148/200 any have chance for vao. hello sir i am mbc 148/200 any have chance for vao. complete pg degree. i ve got 97 in ge and 58 in gk, female mbc.can i get the posting? yaaruppa adhu vao examla kettadhe 80 question than in english how you score 97... are u asking for group 2a? thank you sir and my sis got 144. wt abt her? for my category BC male, PSTM (10th Std) , Diplomo. SURELY BOTH OF YOU GET THE JOB. RELAX AND WAIT FOR IT. HI , I GOT 149 IN VAO (BC-MALE) IS THERE ANY CHANCE? HI , I HAVE 142 IN GROUP 2A (BC-MALE) ANY CHANCE ? you will get vao for sure... grp 2a moderate chances mostly in the second phase..
Hi sir,this is Latha and i have completed my BE and in group 2A i got 143/200 and am MBC category..... is ther any chances to enter into the job???? i have 133/200 marks in group2a exam ..( tamil medium quota )any chance to get a job sir?? what is the minimum pass marks in VAO exam? டி ஆர் பி மதிப்பெண் பட்டியலை வெளியிட்டுள்ளது. இதனால் வி ஏ ஒ மற்றும் குரூப் 2 ஏ கட் ஆப் குறைய வாய்ப்பு உள்ளதா?. தங்களது கருத்துக்களை கூறலாமே! Hi Sir, I am Megala, I have correctly answered for 117 questions in vao exam. I'm a handicapped person but I don't have certificate for that. Is there any chances to get a job. Otherwise if I apply now, is there any possibility ? I belong to BC category. Hi Sir, I am Megala, I have correctly answered for 117 questions in vao exam. I'm a handicapped person but I don't have certificate for that. Is there any chances to get a job. Otherwise if I apply now, is there any possibility ? I belong to BC category. Dear megala, you have less chances only...Last year the cut off for 3rd phase vao Backward Class(Woman)‐DA ‐ Ortho is 213 that is 142 questions.. this year we can expected some decrease in it so that it have chances to touch 130's not 110's..
you have chances for both... dont worry...Just see the cut off Poll result..
sir,I am senthil. my vao score 148. I am bc candidate. what about my chances? i am distitute widow i will get 130 correct qustion in vao exam please tell what about my chance? i am dw candidate my vao score is 180 what about my chance? i am deepa iam dw candidate i will get 185 marks in vao exam what about my chance please reply me....? 185 out of 300 marks?? i am special category bc dw candidate sir ple about any chance to me ? i will get 185/300marks sureely sir ple what about any one chance for me ple tell sir? Hi sir i got 142/200 questions right in group 2A..am BE graduate...belonging to mbc category..is ther any chances to get a job??? tet appoinment pottal vacancies group 4 ja 4th phase il varuma?vanthal ethanai naal delay agum? 2500 adhukkum mela vacancy varumnu nan nenaikiren.. Thanks for your valuable information sir.but i have one doubt.how to calculate the vacancies? i am special category (distitude widow) i will correct marks in vao exam 190/300 i am bc tamil medium ple tell if about any chance for me ple......? expected in September month...lets see..
sir I am jeyapandi, belong to mbc ,male pstm in degree , i got 148/200 in VAO ,and 139/200 in group 2 A, shall i get any one opportunity sir? lee anish sir.first thanks for your useful comments.niraya per tet appoinment pottal group 4 ja la job kidaikkum engirargal.idan unmai nilai enna sir? sir i am jihan, i got 135 /200 in group 2 A , belong to male , pstm , mbc , shall i get a chance sir? lee anish sir.vao bc male kku first phase cutoff evalavu varum sir? lee anish sir,last 2012 group 4 il ja post kku adutha adutha phase il many canditates call seithargal. this 2013 group 4 il appadi nadaiperavillai.why reason sir? thank you for anish sir.udane post seithatharku miga nandri. wait up to group2a results..
my name is kumudha i am special category (distitude widow) i will correct answers in vao exam130/200 i am bc tamil medium ple tell if about any chance for me ple......? lee anish sir என்னுடைய பெயர் சுமதி நான் vao தேர்வில் 125/200 பதில்கள் சரியாக உள்ளன. மேலும் நான் ஆதரவற்ற விதவை ,bc,tamil medium எனக்கு ஏதேனும் வாய்ப்பு உள்ளதா என கூற வேண்டும் என்று தாழ்மையுடன் கேட்டுக்கொள்கிறேன். வாய்புகள் உள்ளன ஆனால் அதிக phaseகள் காத்திருக்க வேண்டும். அதனால் வரவிருக்கும் தேர்வில் நன்கு படித்து முதல் phaseல் வேலை பெறவும். anish sir.i am arun.i have one doubt.tnpsc il entha post kkum(group 2,vao,group 4) canditate join seithuvittu pin resign seithal andha vacancies aduthu andha postukkana arivippu varum varaithan waiting list canditate kku selluma allathu vacancies fill agum varai selluma?please help me sir. Anish sir.please clear my doubt. I am murugan bc male..my vao mark is 146/200 (tamil medium) and group 2a is 140/200 ( B E english medium)..please reply me any chance to get job..if it is..which phase sir..please reply me sir i am confused sir..
As per the TNPSC annual planner it might have been published in the july month itself but it was not announced yet. Let us wait for some more time..
anish sir vao exam 1st phase il clear seyya minimum evvalavu score thevaippadum? anish sir. vao exam 1st phase il clear seyya minimum evvalavu score thevaippadum? within this week i will try to update it..
Hi sir i am satha sc,pstm, i will get 125 mark in vao exam,is there any chance? Gud Evening... Having 154/200 in V.A.O & Group 2a- 144/200 , BC ( Female) 10+2 ( Tamil Medium) and BE Completed. Any Chances ? Now all training institutes are predicted their own Cut-off marks for both VAO & Group II, which is really helpful for every aspirant..
For eg, An X person scoring 150 Qs (225 marks) getting some 1050-th rank in BC community..
Now, in the 1st phase the TNPSC is calling Candidates according to the ranks (eg. From 1 to 1000 only) & he didn't get it. But why in the subsequent phases they are only publishing the register numbers. [Bcoz, the last Group IV exams they did like that only].